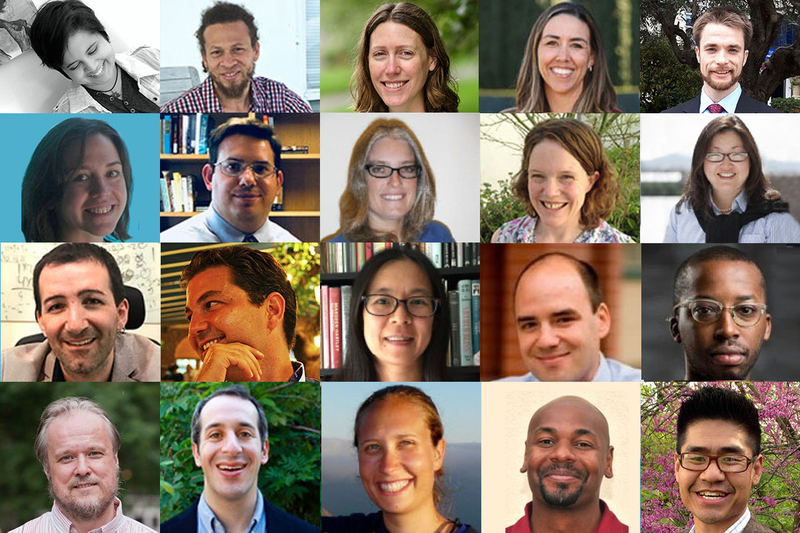 Each academic year brings its own unique energy and excitement thanks to the introduction of new faculty members to Claremont McKenna College. This year’s roll call of 11 junior faculty, two associate professors, and seven full-time visiting professors offers a wide range of expertise across 12 disciplines. Here’s a brief introduction to the new faces you’ll see on campus. Rima Basu is joining the Philosophy Department as an Assistant Professor of Philosophy. Motivated by the recognition that our belief-forming and knowledge-gathering practices exist in an unjust and non-ideal world, Basu argues that there are moral and social constraints on these practices. That is, morality places constraints on not only our actions and our words, but also our beliefs. Some of her work on the wrongs of racist beliefs, in an article aptly titled "The Wrongs of Racist Beliefs,” is forthcoming in Philosophical Studies. Hicham Bou Nassif is joining the Government Department as an Assistant Professor of Government. He is a native speaker of Arabic and is fluent in French. Bou Nassif’s research interests include civil-military relations, authoritarian regimes, civil wars, and Middle East politics. He has done extensive field work in Egypt, Tunisia, and Syrian refugee camps in Turkey and Lebanon, and is currently working on a book centered on the reaction of armed forces to the popular mobilizations of the 2010-11 Arab Spring. By studying the functioning of coercive apparatuses in Arab regimes, Bou Nassif hopes to contribute to our understanding of authoritarianism and the prospect for democratization in the Arab world. Sarah Budischak is joining the Keck Science Department as an Assistant Professor of Biology. Budischak is a disease ecologist who has studied parasite infections in a diversity of hosts including tadpoles, mice, buffalo, and humans. She aims to bring together ideas from immunology, parasitology, and community ecology to better understand the complex interactions among hosts, parasites, and the environment. Specifically, her research has addressed how nutrition and multiple infections interact to influence health and disease transmission. Matt Delventhal is joining the Robert Day School as an Assistant Professor of Economics. His research generally falls within the categories of macroeconomics, economic geography, and trade. Delventhal is currently investigating the way that the placement of natural topographical features—such as oceans, rivers, and mountains—affected access to trade in different parts of the world historically, and the effect that this has had on global development over the long run. In another project, he examines the role of economic development and geographic links between countries in shaping the global fertility transition. He is also working to digitize and standardize historical trade records as part of a quantitative exploration into the evolving patterns of trade between Great Britain and Spain from 1850 until the present day. Ben Gillen is joining the Robert Day School as an Assistant Professor of Economics. His research develops methods for analyzing a wide variety of economic and political data with applications to finance, market design, voting, and economic experiments. From a theoretical perspective, Gillen explores the empirical content of economic models that allows researchers to learn from observing economic behavior in the field. The technical elements of his work focus on inference in high-dimensional settings, incorporating Bayesian approaches and techniques from machine learning. His current projects include a study of optimization algorithms to construct portfolios with a large number of securities, evaluating the performance of a large market designed to reallocate gambling licenses in Australia, and interpreting experiments on network-based models of communication and social learning. Mukasa Mubirumusoke is joining the Intercollegiate Department of Africana Studies as an Assistant Professor. He graduated with a PhD in Philosophy from Emory University in 2017. Mubirumusoke’s research aims to describe the ethical experience and positionality of Blacks in a white supremacist America. He argues certain paradigms of western ethical thought miss the target as they are often deployed for Black Americans and, therefore, must be re-conceptualized—although not abandoned—to understand the aporetic tension of Blacks’ specific vulnerability and responsibility. More broadly, he is interested in the way diasporic Blackness, in terms of ethics, politics, aesthetics, and metaphysics, can be brought to bear upon canonical western thought. Andrew Sinclair is joining the Government Department as an Assistant Professor of Government. He recently taught at New York University’s Wagner Graduate School of Public Service, where he served as the Director of Undergraduate Studies and the Quantitative Methods Curriculum Coordinator. While Sinclair’s research covers diverse topics ranging from primary election reform in California to administrative reorganizations in Britain, it centers around a theme of the relationship between voters, elected politicians, and bureaucrats. He completed his PhD at Caltech in 2013 and graduated from Claremont McKenna College in 2008. Tessa Solomon-Lane is joining the Keck Science Department in spring 2019 as an Assistant Professor of Biology. She studies the causes and consequences of individual variation in social behavior, using social fish as model systems. Solomon-Lane’s research integrates across biological levels—from neural mechanisms to hormones, behavior, and social network dynamics—to understand how and why individuals respond differently to social and environmental cues. In particular, she is interested in how neural mechanisms and behavior develop over the course of an individual’s life history and the long-term effects of early-life experiences. She is also involved in improving the efficacy and expanding the scope of public engagement across the sciences. Derik Smith is joining the Department of Literature as an Associate Professor, specializing in the study of twentieth-century and contemporary African American literature and culture. Particularly interested in the relationship between political economy and cultural production in poetry, fiction, music and film, his essays have appeared in journals like Callaloo, African American Review, and World Order. Smith’s book, Robert Hayden In Verse: New Histories of African American Poetry and the Black Arts Era, will be published by The University of Michigan Press in 2018. It focuses on the poetry of Robert Hayden and chronicles the evolution of aesthetics and politics in African American literary culture of the Civil Rights/Black Power era and after. Smith also has special interests in prison studies and prison pedagogy. Helen Wong is joining the Mathematical Sciences Department as an Associate Professor of Mathematics. Her area of research is in geometric topology, which studies the properties of geometric spaces that do not change under certain topological deformations. Wong’s primary research goal is to understand why some measures, which arose from quantum physics, work so well in distinguishing between different 3-dimensional spaces. She is also interested in real world applications and interdisciplinary collaborations. For example, Wong has worked with students to study topological models of quantum computing, the topology of a data set from structural geology, and the topology of proteins and DNA. Gina Oaks Garcia is joining the CMS Department of Physical Education as Head Softball Coach and Assistant Professor of Physical Education. She was an All-American at Cal State Fullerton and a member of the US and Venezuela National Teams. Oaks Garcia has also played for the Australia Professional Softball League, the Japanese Division A Professional Softball League, and the Italian Federation Softball League. She has previously coached at Cal State Fullerton, Azusa Pacific, and Loyola Marymount. As owner and coach at Go Getter Softball, an organization specializing in camps, clinics, and coaching for high school girls, she developed three USA National Players. Glenn Stewart is joining the CMS Department of Physical Education as the Head Men’s and Women’s Track and Field Coach. During his time as interim coach, Stewart led the Athenas and Stags to the SCIAC championships in 2015 and 2016. In 2016, there were six All-American performances by the Stags and Athenas, and the Athenas came in fifth place in the NCAA Division III Track & Field Championships—the highest finish in the program’s history. Prior to his years at CMS, Stewart coached at Cal Poly Pomona and Glendora High School, where he had six CIF Division I individual titles and trained more than 50 league champions. Bethany (Beth) Caulkins is joining the Keck Science Department as a Visiting Assistant Professor of Chemistry. Her research background is in biophysical chemistry and the use of solid-state NMR (ssNMR) to study molecular structure and enzymatic catalysis. Caulkins’ postdoctoral work focused on the investigation of the structure of amyloid fibrils implicated in the progression of Huntington’s Disease and the mapping of binding sites of small molecules and antibodies to the huntingtin protein. In graduate school, she worked to understand the underlying mechanisms involved in catalysis for pyridoxal-5’-phosphate (PLP)-dependent enzymes. This work focused on elucidating the role of acid-base chemistry in the reactions performed by PLP and required chemical-level details of the active site environment, including the protonation states of key ionizable sites on the cofactor, substrate, and active site residues. While here, Caulkins plans to continue her study of PLP-dependent enzymes with ssNMR, which will allow students to gain experience in the overexpression and purification of proteins and basic NMR techniques. Erin Jones is joining the Keck Science Department as a Visiting Assistant Professor Biology. Her research interests include gene regulation in human health and science education. Most recently, Jones taught at Cornell University and was involved in assessing the effectiveness of active learning in large introductory courses and examining if there is a correlation between student well-being and the use of active learning. Lauren Kim is joining Claremont McKenna College as Visiting Assistant Professor of Religious Studies. She has an international background of teaching experiences, having taught in South Korea, the United Kingdom, and the U.S. Kim’s main interests lie in the History of Global Christianity, especially in the fields of Early Modern European History and Asian Church History. This summer, she presented conference papers in Bali, Indonesia on early modern Protestant missions in Asia, and in Manila, Philippines on interdisciplinary, theological education. Yilmaz Kocer is joining the Robert Day School as a Visiting Assistant Professor of Economics. He is an economic theorist with research interests in bounded rationality, dynamic theories of learning, Bayesian persuasion, dynamic mechanism design—and in behavioral economic theory in general. Kocer is currently working on the role of unknown redundancy and/or correlation across information sources in individual dynamic decision making in terms of its implied deviations on behavior, compared to the i.i.d. information channel counterpart. A follow up project considers a dynamic strategic model where market participants are unsure about the correlation between their information sources, and the paper explores its effects on the evolution of market coordination over time, in a global game like scenario. Pavel Naumov is joining the Department of Mathematical Sciences as a Visiting Associate Professor of Computer Science. He is a logician with research interests in theoretical foundations of artificial intelligence, game theory, and formal epistemology. Naumov has published over sixty papers on reasoning about knowledge, strategies, budget constraints, privacy, information flow, product diffusion, and rational behavior in multi-agent systems, as well as on proof complexity, automated deduction, type theory, and modal logics. David Stein is joining the History Department as a Visiting Assistant Professor of History. His research and teaching focuses on the interconnection between social movements, public policy, and political economy in U.S. history. Stein’s current book project—Fearing Inflation, Inflating Fears: The Civil Rights Struggle for Full Employment and the Rise of the Carceral State, 1929-1986—describes the politics and economics of unemployment and the efforts win a federal governmental job guarantee. He is also interested in public scholarship and co-hosts Who Makes Cents? : A History of Capitalism Podcast.